Glyndebourne stages internationally renowned opera productions in a state-of-the-art theatre set in the rolling hills of Sussex’s South Downs. This Christmas, BBC Four is showing two programmes that shed light on the unique contribution Glyndebourne makes to the classical music world. 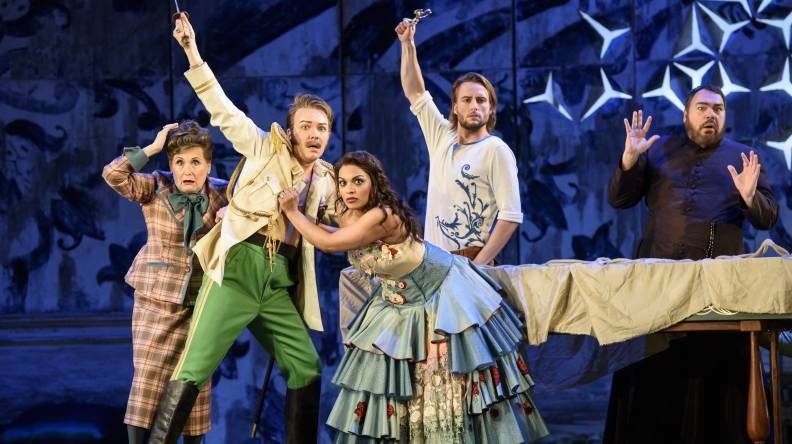 Broadcast on Sunday 18 December at 7.00pm, Birth of an Opera: Danielle de Niese on The Barber of Seville offers a backstage look at the creation of Glyndebourne’s new production of Rossini’s great comic opera. The documentary is presented by star soprano Danielle de Niese, wife of Gus Christie, who is the grandson of founder John and Glyndebourne’s executive chairman. The film shows the assiduous rehearsal process Glyndebourne undertakes for every production: in contrast to the fortnight that many opera houses make available, Glyndebourne’s cast and crew get a full six weeks of preparation, enabling an unparalleled attention to detail and finesse in the finished performance. The documentary follows de Niese as she prepares to make her debut in The Barber of Seville’s starring role of Rosina. There are interviews too with director Annabel Arden, conductor Enrique Mazzola, designer Joanna Parker and key Glyndebourne figures. Immediately after the documentary, at 8.00pm, audiences can experience a Glyndebourne production for themselves, as the opera is shown in full, recorded live this summer. The jape-filled story tells of the schemes of the crafty Rosina and the irreverent Figaro to outwit the avaricious old Dr Bartolo. It also contains some of the finest music that Rossini – probably the most talented writer of comic opera of the 19th century – ever wrote. Parker has created a gorgeous, Moorish-influenced blue-and-white set, while the costuming references the 1950s (and de Niese’s voluminous skirts are inspired by Balenciaga). The Independent described the production as ‘a triumphant celebration of Rossini’s musical genius’. 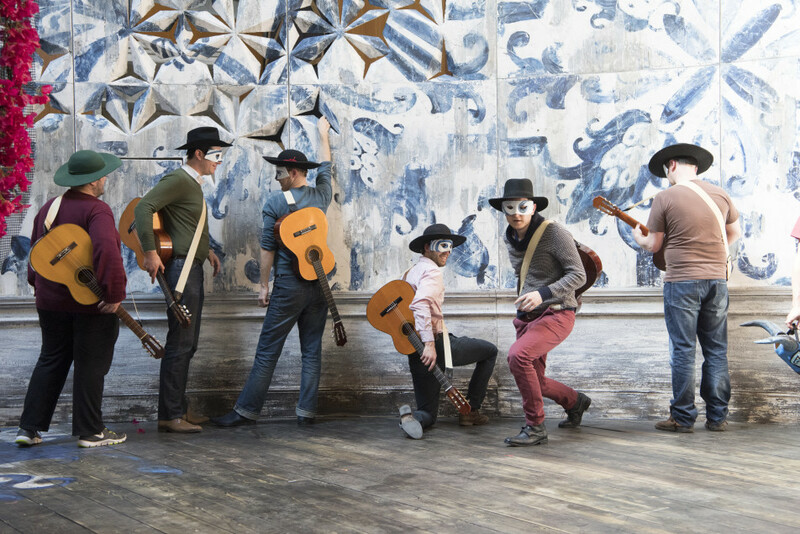 This production of The Barber of Seville (Il barbiere di Siviglia) returns for the Glyndebourne Tour in autumn 2017. See venues and book here. See previously unseen behind-the-scenes shots of the production here.